The past few years, we’ve sat down to write out our resolutions (we’ve always called them goals) with the intention that the year would be full of possibility, steady seas and the elusive thing we’re all after: TIME. We were driven, mindful and intentional, to the point where we’d even check in with our goals mid-year. But when the holidays rolled around and we looked back at our goals, we felt unaccomplished and even a little disappointed in ourselves. It wasn’t because we didn’t cope well with bumps in the road, or that we didn’t meet our goals. In fact, sometimes we’d surpass our goals or meet other, more important ones. We measured ourselves against something we vaguely remember wanting that morning after champagne dreams and midnight kisses. There was so much emphasis on a static moment in our lives. We focused so intensely on what we thought we wanted out of life when we were dreaming up the next 365 days, that we forgot that we wanted to be more, do more and see more than one year could really hold. Our resolutions/goals were bigger than the next 365 days. This year, we unplugged. We knew that 2015 was full of exciting things: we got married, settled into new careers, and traveled more than our wanderlusting hearts could have ever imagined. But we never took the time to hit the reset button, to reevaluate how these changes have affected our lives. Where would these changes take us in 2016? We knew we needed to find some solid ground after months of floating. So we decided to disappear for a few days! 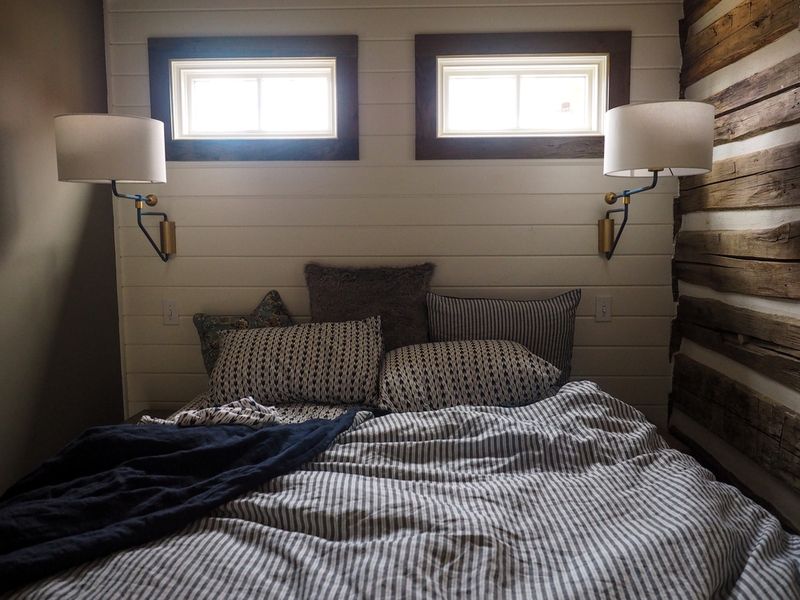 We found this incredible cabin in Cookeville, TN through Airbnb called Hill & Cabin, and instantly we dreamt of nights by a fire, coffee on the porch and plenty of downtime. It was the perfect place to dream up our future together. We sat down and talked about our perceptions of each other and of ourselves. We dove into the conversation about what our lives would look like if it didn’t all work out. How scary that would be. But most importantly, we talked about what it requires from us today to ensure that doesn’t happen. How do we get uncomfortable and dig into growing into the people we want to be today and in years from now? We decided the answer to that question was to choose ONE WORD to embody all year. And you know what? We both admitted our hearts raced once we decided on our words. And maybe our hearts are racing a little bit hitting the publish button as we share them with you. But we think that’s a good thing. Picking a word for the year isn’t as easy as it sounds. And no, it doesn’t sound easy either. Right off the bat we knew we wanted our combined word to be something that stuck around far beyond 2016. 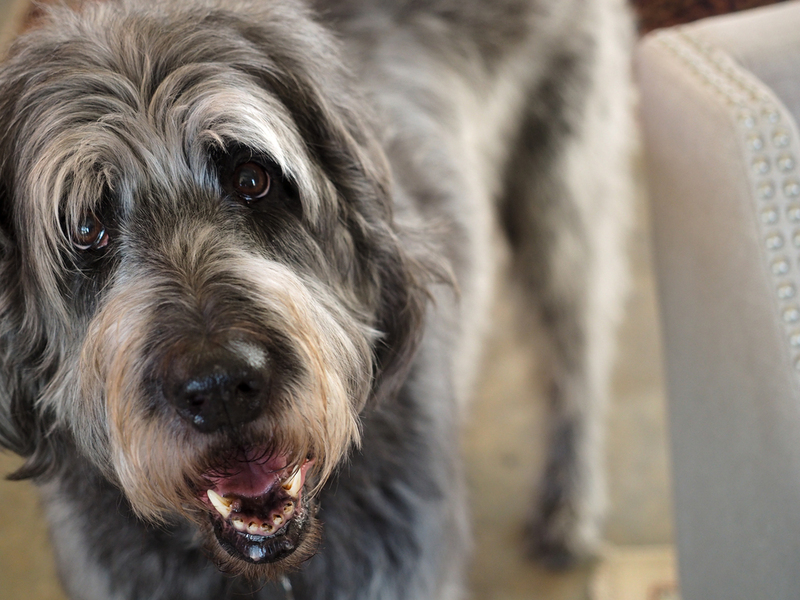 On our Annual Retreat, we headed up to our badass little cabin with groceries, a Bota Box and our sweet labradoodle, Bo (some know him as Bodog). Once we explored the house a bit, we went for a walk around the lake. Watching Bo run around, bouncing from place to place, jumping after rustled leaves and twigs, triggered OUR WORD. Life is way too short to be so damn serious all the time. We picked this word because sometimes we are so focused on checking that box on the to-do list that we forget to have fun. There have been so many missed moments of laughter and lightheartedness because we were trying to power through and get something done, only to move on to the next task. We kept our promise that weekend. We played in the world's largest treehouse, made s’mores in our pajamas and did our best to embody the young, energetic spirit of our silly Bodog. For me, picking a word was a little more difficult and time consuming. I just kept writing tons of ideas down in my journal, only to cross them off. Nothing was sticking. All of the words felt forced and inauthentic. Then Lyndi and I started talking about how we think people might perceive us. I know. Terrifying, right? By the end of the conversation I realized that I’m someone who is a much better listener than sharer. So that's my word. DEPTH. This year I really want to dig deep. Get to know people for who they truly are and share with them more about who I truly am. I’m learning that conversation is a back-and-forth dynamic, so the more you share, the more people open up to you. I’m hoping that by embodying DEPTH, I let them into my life more, and in return learn their experiences and stories. Share with them stories about my childhood, my travel, and my experiences. Share with them my frustrations when I have them. Be vulnerable. Annual words are meant to push us, and push us hard. They are not easy in any way shape or form, but that’s why they are so fun. What’s the point of living, if you are not pushing yourself? Well, this was terrifying. I said my word to Justin as somewhat of a joke. If you know me, you know laughter and the quick look-away is my favorite defense mechanism. So when I pulled that card, he immediately called me out on it. I fought the notion that this was my word. But the harder I fought it, the more I knew that if I wanted to grow into the person I so desperately want to be, I’d have to lean into the discomfort. So I did. So that's my word. CONFIDENCE. I have always watched people that I thought were confident, and tried to mimic their actions. I am shamelessly in awe of people who don’t think twice about the story they just blurted out to a group of strangers. Because I replay it in my head hundreds of times, feeling my face flush red each time. Did I over-share? Did people even want to hear that story? I’m an introvert and I love people, and that combination has always been complicated for me. Over the years, I have been dared and pushed to speak louder, to not second guess, and to say “thank you” instead of come up with a snarky or self-deprecating response to a compliment. So this is my step towards CONFIDENCE. I love that I laugh with my entire body, it brings me joy. I am an empathetic and caring friend. I am smarter than I give myself credit. I am enough the way I am today, in this moment. These are the things I am learning are ok to think and feel. Phew. This is going to be a good year.